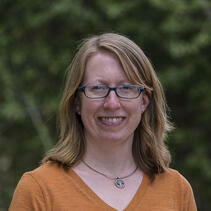 Dr. Sarah McCullough Hennessy serves San Diego Zoo Global as a Researcher in Recovery Ecology. She is a member of the research team working to conserve the burrowing owl throughout our region. Her research interests lie in how and where individual animals settle in habitat, including the specific aspects of habitat attract or repel individuals. Because ground squirrels create the burrows that owls need to breed, there are connections between habitat features such as soil type and vegetation density, individual squirrel and owl settlement decisions, and burrowing owl population outcomes. Sarah’s role is to synthesize the results of several years of burrowing owl research and apply it to the next phase of local decision-making and management. She has developed criteria for evaluating potential management sites for the quality of habitat they could provide for burrowing owls, conducted population viability analysis, and developed a landscape-scale habitat suitability model for burrowing owls. She was a lead author of the countywide species management strategy, developed collaboratively with the government agencies. Sarah first came to San Diego Zoo Global in 2009 as an Undergraduate Summer Student Fellow in Plant Conservation. That position initiated a shift in her research interests from a plant-focused perspective to her current focus on inter-relationships between animal species and their habitats. After completing her fellowship, she earned her doctorate in Ecology through the Joint Doctoral Program of San Diego State University and University of California, San Diego.